Although its Upper East Side location automatically puts it out of the price range of any starry-eyed innocent arriving in New York City with a suitcase and a dream (except for maybe Taylor Swift), aspiring socialites with an extra $8 million or so in the bank (looking at you, Dubai) can now attempt to absorb some of Audrey Hepburn’s poise and iconic style by osmosis by buying the house where her character lived in Breakfast At Tiffany’s. 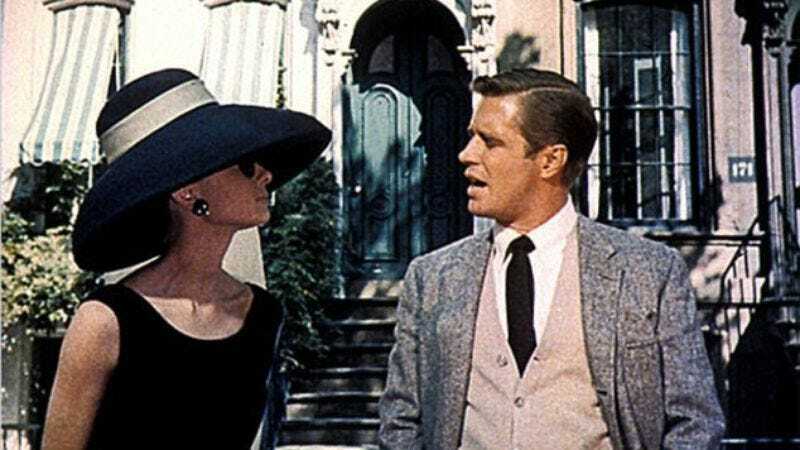 The four-story brownstone, located at 169 East 71st Street, served as the exterior for Holly Golightly’s apartment building in the 1961 film. It has been sold a handful of times since then, most recently for $5.97 million in 2012; real estate agent Asher Alcobi tells The Hollywood Reporter that, this time around, the property will be turned into a four-bedroom single-family home. That means there will be no more inter-apartmental romances in the building, but a girl can pretend. Just leave the Mickey Rooney impersonations out of it, please.